Separated at Hatching?. Baby Private and a Furby. Long-lost brothers?. Wallpaper and background images in the पेंग्विन्स ऑफ मॅडगास्कर club tagged: photo penguins of madagascar private furby penguin toy dreamworks. 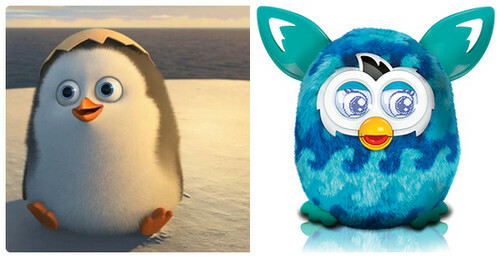 Baby Private and a Furby. Long-lost brothers?